A sucker for mindless action films, I was excited to see Gareth Evan’s follow-up to the energetic and gruesome hit The Raid: Redemption (2011). While The Raid 2 (2014) is probably a mediocre film at best, there are enough interesting aspects to this film to make it worth watching. As with most reviews, the following may (read: likely does) contain spoilers – consider yourself adequately warned. It should probably go without saying that if you are not prepared to watch over two hours of brutal, cringe-worthy combat with graphic gore, this is not the movie for you. The story is generic, the dialogue is awkward, and the acting leaves much to be desired. The literal content of the film is not high art and this film will not change your life or your perspective on the world. Then again, most people who choose to watch this film were probably not expecting an Oscar contender. However, the weakness of the story is made up for by the sheer beauty of the film’s cinematography, which is simply astonishing. There are some absolutely breathtaking shots in this film that seem more painting than film, often lingering on these epic tableaux just long enough for the audience to drink in all of the detail. I particularly love Evan’s use of angles and overhead shots that provide a detached sense of flow that seems to amplify the martial combat. Similarly, Evan’s use of camera movement, especially the ways the camera smoothly shifts, tilts and spins in relation with the choreographed moves of Iko Uwais’ character draws the audience into the fight scenes in a unique and engaging way, not unlike the shakey-zoom style deployed in Battlestar Galactica to give a sense of realism/authenticity. For a movie focused almost exclusively on fight scenes, perhaps the unexpected triumph of The Raid 2 is something that no one seems to be talking about — its deployment of disability. 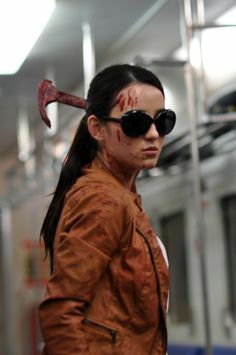 Character Alicia, dubbed “Hammer Girl” because she uses hammers to kill people, might be the best representation of disability I’ve ever seen in quite some time. Despite being a minor character, Alicia’s a quality representation because she is not based upon or fundamentally wrapped up in her bodily difference. Contrary to a majority of mainstream Western representations, this film does not feel the need to explain why Alicia is deaf or given any sappy monologues about her yearning to hear again. In fact, we only know she is deaf because her friend, “Baseball Bat Man”, communicates to her through sign language. And while Alicia is technically a villain, she is not cast as being villainous because of her hearing impairment; she is not out for revenge or turned evil because of her disability, she’s just a highly skilled killer. Similarly, her disability does not give her super powers nor is her impairment used as central to her downfall or limitation. Simply put, this is a powerful representation because Alicia is a dangerous assassin who happens to be deaf, not a deaf assassin. Rather than focusing on her difference or casting her as an outsider, Alicia is fully integrated into the ensemble, with her disability being acknowledged but not made the dominant aspect of her character. 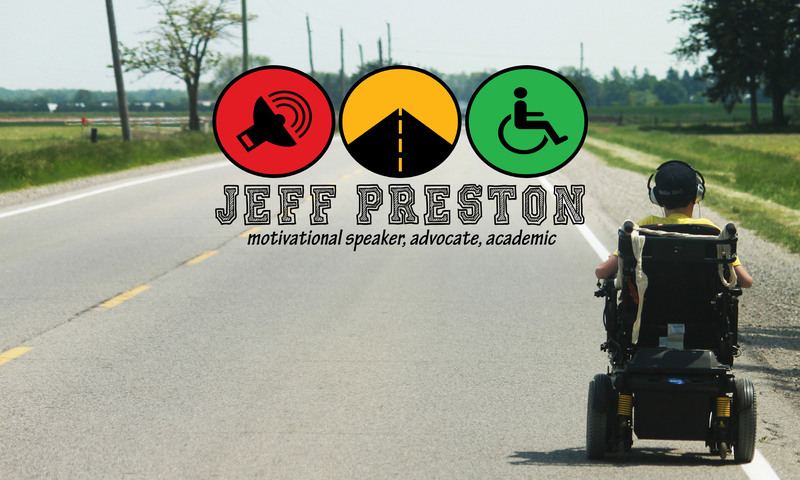 For me, this should be the objective of media representations of disability — to tell stories about people, not stories their diagnosis. Next PostNext Are the disabled ‘afflicted’?